This course explains beginners about basic PHP programming from scratch. It is suitable for anyone who aspires to start their career as a programmer or developer. PHP training gives you new learning scope on PHP, a popular scripting language to generate dynamic web pages. It is used for making customized web solutions as it can be embedded with HTML with little effort. Further, it is relatively easy to code on PHP as it comprises simple formats, techniques and features. 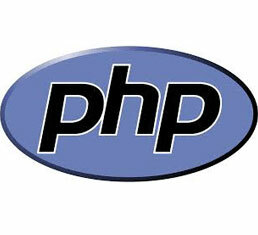 PHP has become a very popular learning course in Nepal as more developers are emerging in the local IT market. Meanwhile, they will learn professional skills in PHP and MySQL training at Nepal Training Centre that will help them get a job in software development company after the training. We provide extensive knowledge on dynamic websites and web applications development using PHP. Understand and implement various techniques for web development. Understand the usability and functional capabilities of the Web. Perform testing and debugging of websites and web applications. College students eager to complete their final year project on web development using PHP language. College students who do not have time for online courses and want to learn PHP from professionals. College graduates from IT background (BIM, BscCSIT, BIT, BEIT, BCA etc.) who are aiming to kick start their career in web development. Candidates from non-IT background who want a career in web development. Web designers who want to learn to develop dynamic web sites and learn programming. Programmers who want to gain knowledge of developing webpages and web applications.